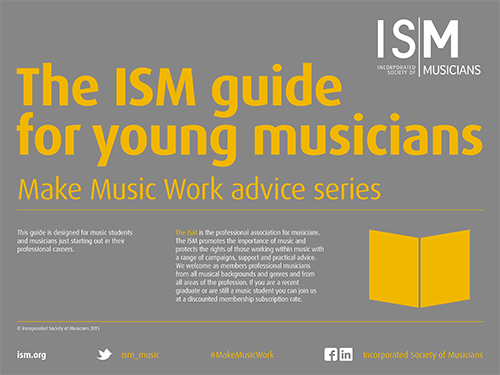 Enter your details below to get your free copy of The ISM guide for young musicians, our essential digital resource for all musicians looking to develop their careers. Would you like to hear more from the ISM and ISM Trust? If you would like to receive email updates with information about the ISM and ISM Trust’s services (professional development, news, campaigns and membership), tick the box below and we will add you to our mailing list. Typically, we will email you once a month. The personal information you provide will only be used for this purpose. We will not sell or share your information with third parties. I am happy to be emailed about the ISM and ISM Trust’s services.